I hope you’ve all had a lovely weekend so far and not too hot and sticky! It’s been so lovely, so it was a shame I had to work most of Saturday, but still made the most of the weekend. As some of you may already know (if you follow me on Twitter you probs have seen by my posts) I recently had my hair done and I went for Balyage. My hair is naturally a really dull brown colour, and there isn’t much life to it at all so I’ve always dyed it to bring it to life. Normally I go darker and warmer in the winter season and I do quite like my hair that colour. However, in summer I do like to go blonde, and this summer I decided to try balyage. Obviously to achieve this look I had bleach on my hair, which I think is quite scary, and considering most of my hair is bleached it makes a big difference. With this, I also had the Olaplaex treatment done at the same time so ensure my hair wasn’t too damaged during the process. After going blonde, it is a must you use the correct products to keep the tone nice and ashy rather than a brassy/orange tone which happens if you don’t take care. I decided to have a look around and read other reviews on the best shampoos/ treatments to use, but I found one particular one that I really get on with and it’s not too expensive at all. Touch of silver is professional hair care for blond, platinum or white hair. The range enhances hair colour and ensures best toned results with a unique active violet pigment that neutralises yellowing, brassiness and dullness. 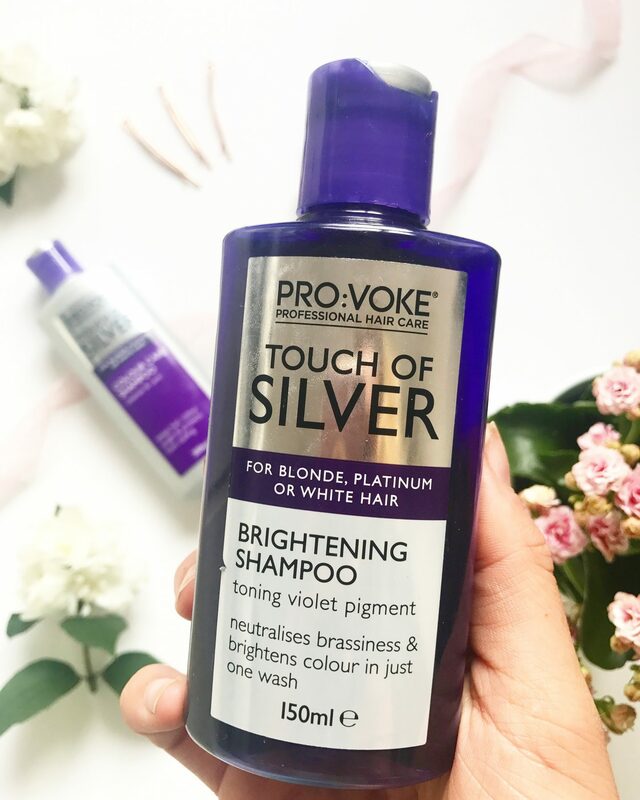 It consists of the Touch of Silver Colour Care Shampoo (200ml), the Touch of Silver Colour Care Conditioner (200ml) and the Touch of Silver Brightening Shampoo (150ml). 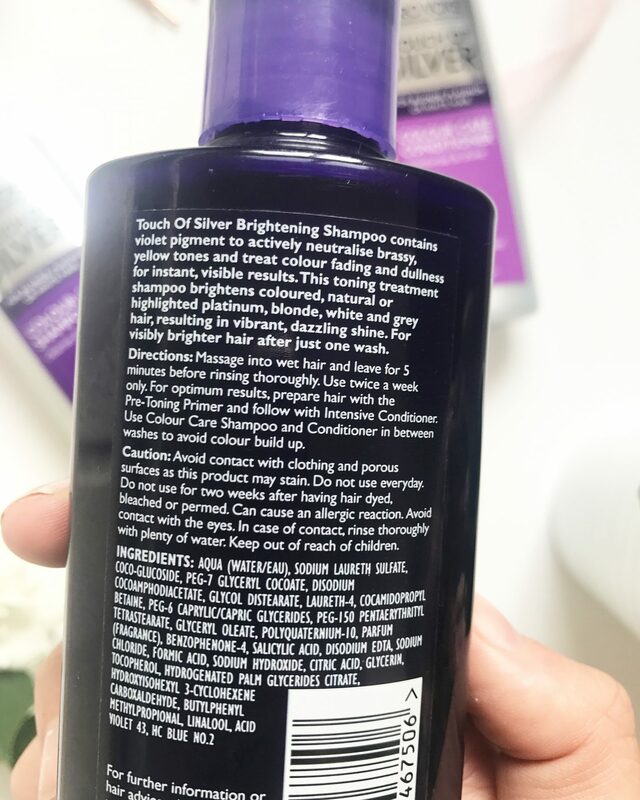 The Brightening shampoo is BRIGHT purple, and at first it was almost scary to see in the palm of your hands before putting in your hair, but it’s not scary at all. It is recommended that you only use this one twice a week and when you apply it, you should massage it into your scalp and leave for 5 minutes. The results are visible after one wash and it completely brings my hair back to that lovely ashy tone it should be. Have you heard of this brand? 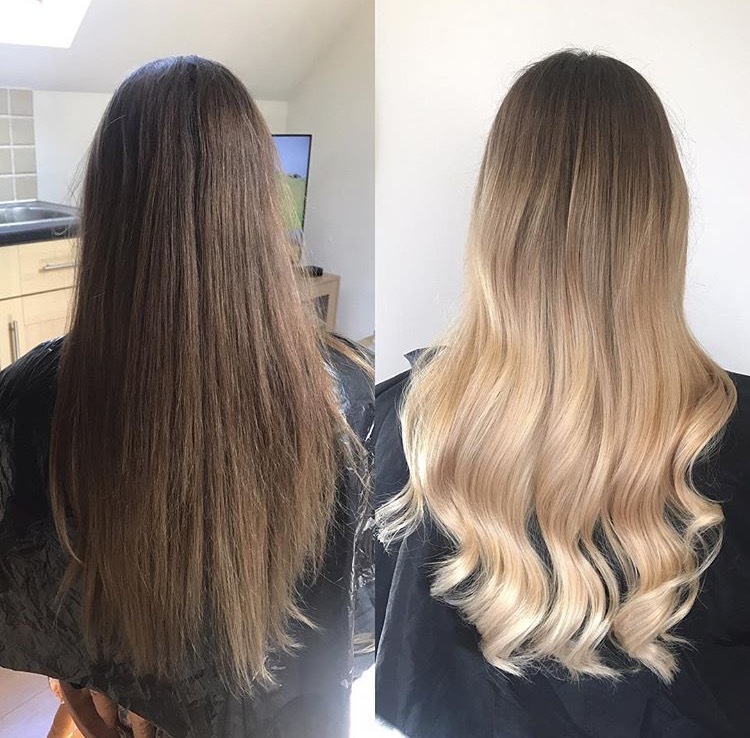 If you do have blonde dye, what products do you use to treat your hair? I use these too! Couldn’t recommend them enough, best shampoo for blondes! Your hair looks so fab! Are you having more fun being blonde?! I haven’t tried this brand but I have seen it around. I usually use Joico violet colour endure which is similar. Keeps those brassy tones at bay. Lovey post and pics! ? ?